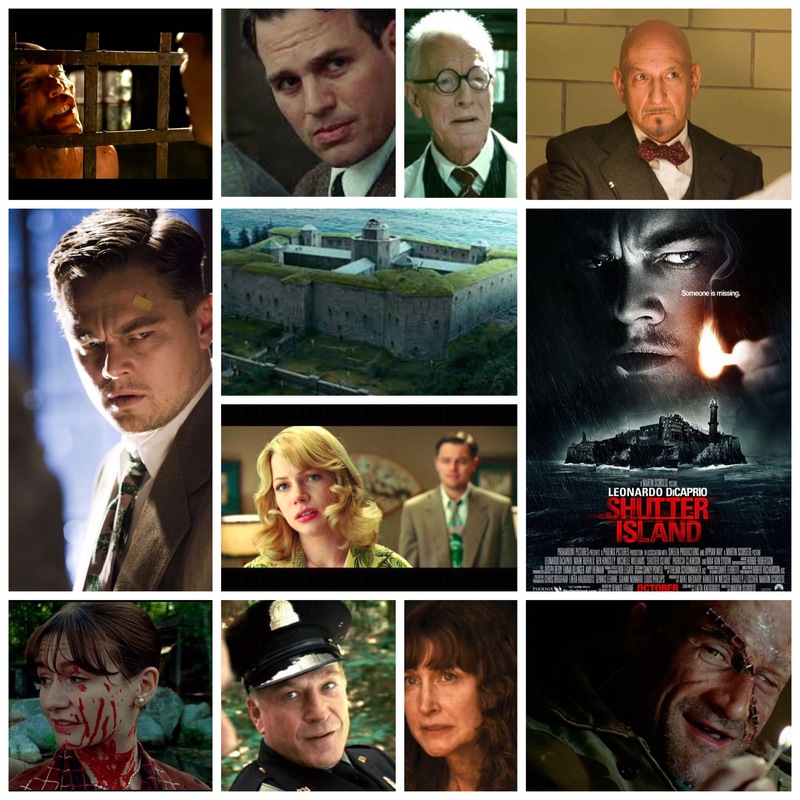 Shutter Island is my favourite film by Martin Scorsese. Now, keep in mind that I still have yet to see heralded classics like Goodfellas and Raging Bull, but that being said I still feel like this clammy psychological opus would remain at the top of the charts. I’m a genre guy at heart, and as such gravitate towards that when watching any director’s work, I just feel more at home wading into fictitious, stylized thrillers than I do with earnest biopics or urban crime dramas, which aren’t always my thing to begin with. Shutter is a brilliant piece, a deliberately dense and serpentine mystery that unfolds step by delicious step, a gift to anyone who loves a good twist and plenty of clues to keep them engaged along the way. Not to mention it’s wonderfully acted, cleverly written and primed with emotional trauma to keep us invested in the puzzle beyond base curiosity. Leonardo DiCaprio is best when portraying intense, tormented people, and his US Marshal Teddy Daniels here is no exception, a haunted man who feels like a caged animal as he investigates the disappearance of a mental patient from a secluded island sanitarium, a place that just doesn’t seem right, with a mood in the air so oppressive you can almost feel the fog, both mental and meteorological, weighing you down. The patient, Rachel Solando (Emily Mortimer will send shivers up and down your spine) seems to have vaporized into thin air, and Teddy’s investigation leads to closed doors, uncooperative staff and a heightened level of dread that lurks beneath every hushed exchange of dialogue and fleeting glimpse at things he, and we, aren’t even sure he really saw. The head doctor (Ben Kingsley, excellent) is clearly hiding something, as is the austere asylum director (Max Von Sydow). The freaky Warden (terrific cameo from Ted Levine, who gets to deliver the film’s best written and most perplexing dialogue) babbles to Teddy in biblical platitudes, and the patients have run amok following a storm that compromised security. Needless to say the plot is deviantly constructed to constantly mess with the audience until the third act revelations, which come as less of a melodramatic thunderclap and more like a quiet, burning sorrow of realization, a tonal choice from Scorsese that hits you way harder. Scorsese has assembled a cast for the ages here, and besides who I’ve mentioned so far we also have Michelle Williams in disconcerting flashbacks as Teddy’s wife, so perfectly played I wish she got a nomination, creepy Elias Koteas as another phantasm from his past, John Carrol Lynch, Mark Ruffalo, Jackie Earle Haley, Robin Bartlett and Patricia Clarkson. The score is a doom soaked death rattle courtesy of Robbie Robertson, not without it’s emotional interludes but thoroughly grievous. There’s also a beautifully slowed down version of ‘Cry’ by Johnnie Ray that accompanies the horrifying dream sequences within the film, adding to the already thick atmosphere nicely. This is a film built to last, both for dutiful rewatches from adoring veterans and discovery by lucky newcomers who get to experience it’s affecting story for the first time. All these boxer biopics, big city mafia ballads and heady stuff seems to have rolled off of me as far as Scorsese goes, I enjoy them, don’t get me wrong, but they’re a one-off as far as how many times I’ll watch them. Give me a well spun, emotionally rich psychological murder mystery with no shortage of style, character and tantalizing thriller elements, however, and I’ll pop that sucker back into the DVD player time and time again. Scorsese’s best effort by far.